You are invited to the screening of the documentary film “Sulha” (2017) and a discussion on promoting the Sulha language and mediation in our region. 16:30 Initiatives for the establishment of mediation and dialogue centers in the region of Basmar, Baqa al-Gharbiya, Menashe, Umm al-Fahm and Ar’ara. 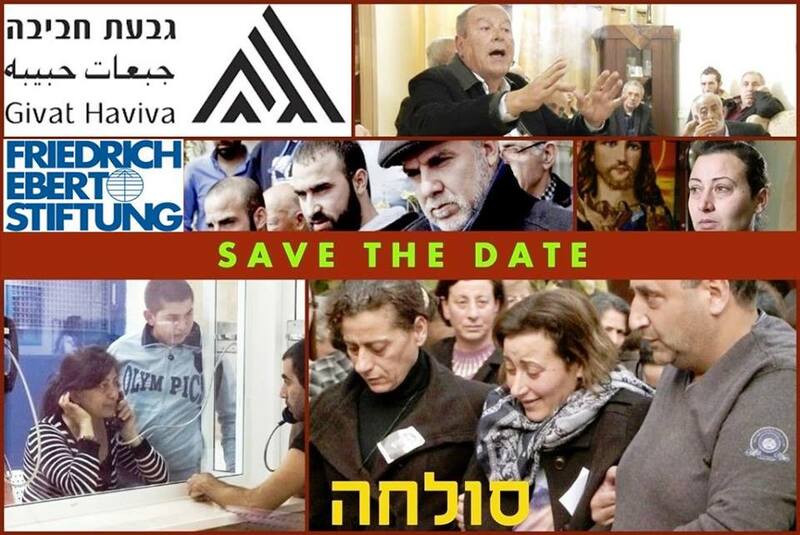 17:10 Screening of the film “Sulha”, which documents the Sulha process between the Tukan family and the Salman family from the Arab village of Iblin in the Lower Galilee and talking to the film’s director, Eytan Haris, about the process of making the film.